Liposuction, also known as lipo-sculpting or lipo-contouring, is the most commonly performed cosmetic operation in America. Liposuction removes excess and unwanted fat from defined areas. The areas commonly treated are the neck, stomach, legs, love handles and thighs. 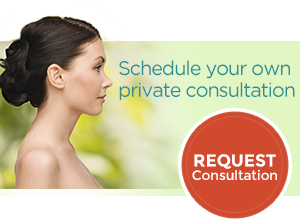 Dr. Saunders believes the best results are obtained with liposculpturing for his cosmetic surgery patients. This involves tumescent liposuction where medicated fluid is injected into the areas having plastic surgery and liposuction. Dr. Saunders educates his patients on the different techniques of liposuction, explaining that different techniques are designed to aid the surgeon with the smooth removal of fat. Scientific research has not shown one technique to be superior over another. Studies have shown excellent cosmetic results with the great majority of techniques. The best candidate for liposuction is a physically healthy individual with excess or unwanted fat, who has the clear understanding of the “real-reality” of liposuction. Understanding that liposuction does have limitations and realistic expectations is one of the most important aspects about understanding the procedure. Dr. Saunders evaluates each patient on an individual basis and may recommend another procedure such as skin removal or muscle tightening to go along with liposuction. These procedures may combine for a better result and a more sculpted appearance. 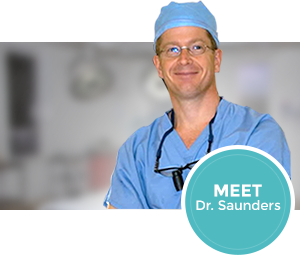 Dr. Saunders performs this surgery in his state of the art cosmetic surgery center. Recovery from liposuction includes one to three days of slight pain and discomfort. Bruising and swelling will resolve over one to two weeks. A pressure garment is worn for up to a month. Dr. Saunders is the author of ‘A Woman’s Guide to the “Real-Reality” of Cosmetic Surgery’ a must read for anyone considering cosmetic surgery.